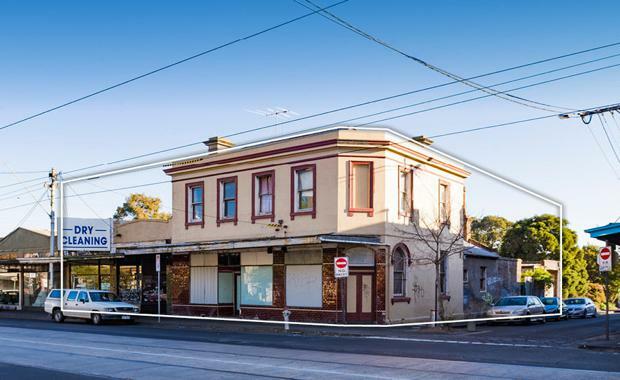 A Prahran development site with approval for an apartment complex has been sold to a local developer at auction for $5.25 million. The property at 283-289 High Street has a permit approved for 31 apartments and four shops including a cafe permit for 38 chairs and a liquor license. The 537sqm site has a combined frontage of 50.4m to High Street and York Street, plus additional rear laneway frontage of 19.96m. The property is less than 400m to Chapel Street and its dining and entertainment precinct, while reserves and parks such as Victoria Gardens and Prahran Aqatic Centre are nearby. The Prahran Train Station is less than 800m away. The agents for the sale were Mark Wizel, Julian White and Scott Orchard from CBRE.